One of the things that makes the hot, humid summers of the DC area much more tolerable is the bounty of summer produce. I easily eat my weight in cherries, peaches, nectarines, berries, peppers, and everything else summer has to offer, and all too quickly, it comes to an end (at least the sort I can get locally and inexpensively), along with summer’s long days. Still, autumn is my favorite season–the changing leaves, sweaters, sleeping with the windows open, and lots of reasons for fun and celebration. I’ve also realized that many of my favorite fruits are also harvested during the fall. Apples are available year-round, but there are so many varieties available at the farmer’s markets in the fall. I’d happily eat one of Bite Me I’m Vegan’s Apple Sticky Buns for breakfast any morning. 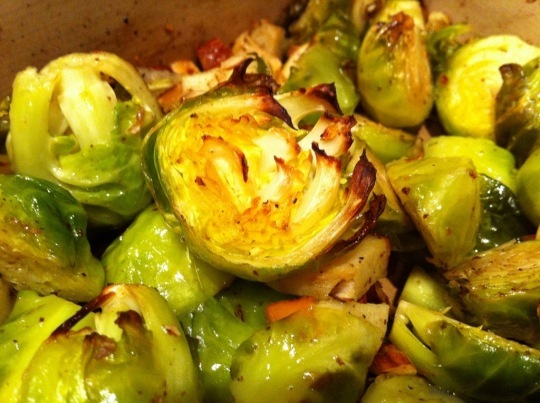 These Roasted Brussels Sprouts with Apples and Almonds from Lindsay at The Kitchen Operas would be welcome on my Thanksgiving table, or dinner any night of the week. No fall feast would be complete without cranberries, and I wouldn’t have thought of using pearl couscous as Christine does in a hearty bowl of Whole Wheat Couscous with Pistachios and Dried Cranberries. 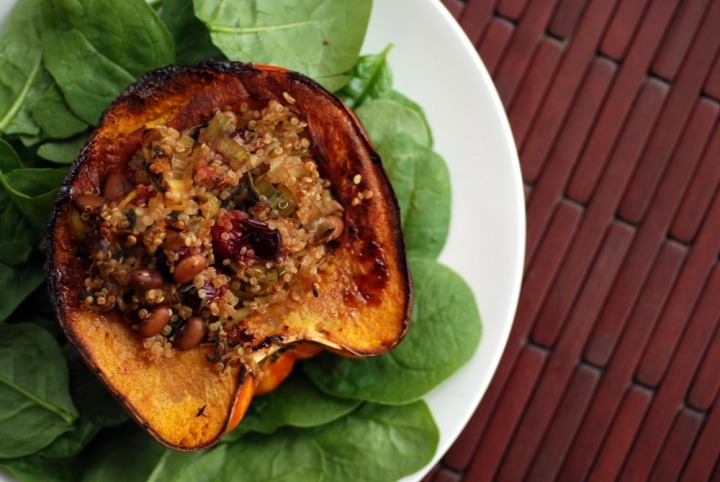 We also often have stuffed squash at fall dinners, and this Carnival Squash stuffed with Maple Dijon Quinoa and Beans by Janet at the Taste Space includes fresh cranberries and sounds delicious. 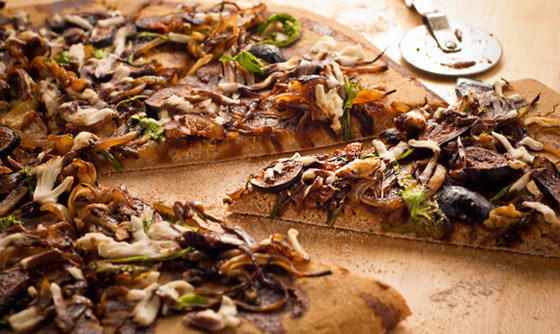 Figs make a second appearance in early fall, and this Roasted Garlic, Caramelized Onion, and Fig Pizza by Patrick at the Vegan Road would be really comforting at the end of a cool day. I’d love a bowl of Hot Vegan Chickpea’s Acorn squash, pear, and adzuki soup with sauteed shiitakes, followed by a slice of Opinions on Onions Pear Cake with Spice Cookies (hello, speculoos cookies!). 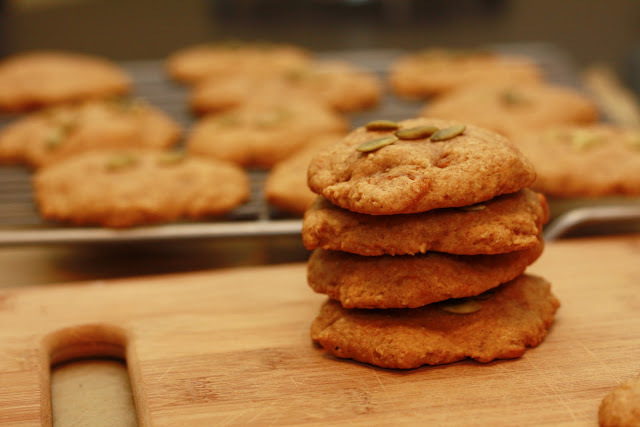 Over at K’s Veg Recipes, we find tasty Persimmon Pumpkin Cookies. I still can’t believe I spent 20+ years of my life not eating persimmons! 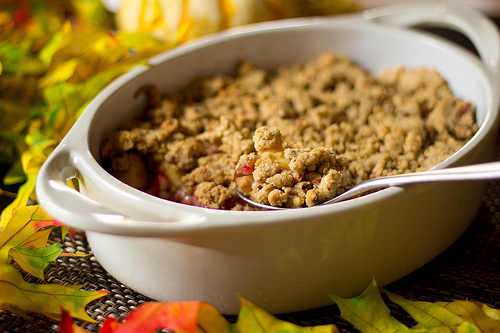 Finally, this Autumn Cobbler made by Jesse at The Happy Go Lucky Vegan features three fall fruits–apples, pomegranates, and persimmons, along with a lovely streusel topping. I hope you’re enjoying plenty of your favorite fruits, in whichever climate you’re living. See you next time! Thanks for featuring me and my Brussels sprouts!!! 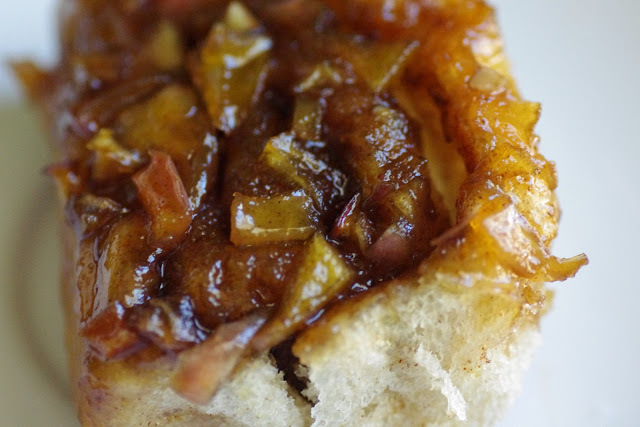 Thanks for including my sticky buns in the roundup! And in such tasty-looking company!